If you are itching to wind up the week and destress in a bar in the South, then go check out this place in CommerCenter. South Pub Alabang is a hip, new bar for a relaxing night out with friends and family. Commerce Center, Alabang! 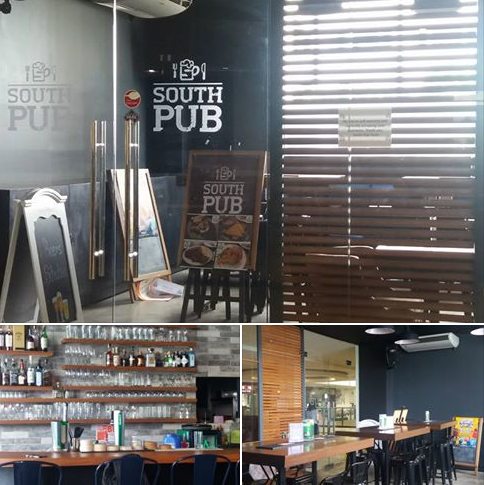 The owners of South Pub Alabang decided to put up a bar in the Metro South with the pub people in mind. This trendy hangout place takes on British, Spanish and Filipino food fusion which were curated to perfectly complement liquors, cocktails, local and draft beers. Each dish were carefully crafted for alcohol pairings. For appetizers, we had Nachos and deep-fried, Crunchy Mushrooms. Both has that crunch and texture to really perk up one's appetite. 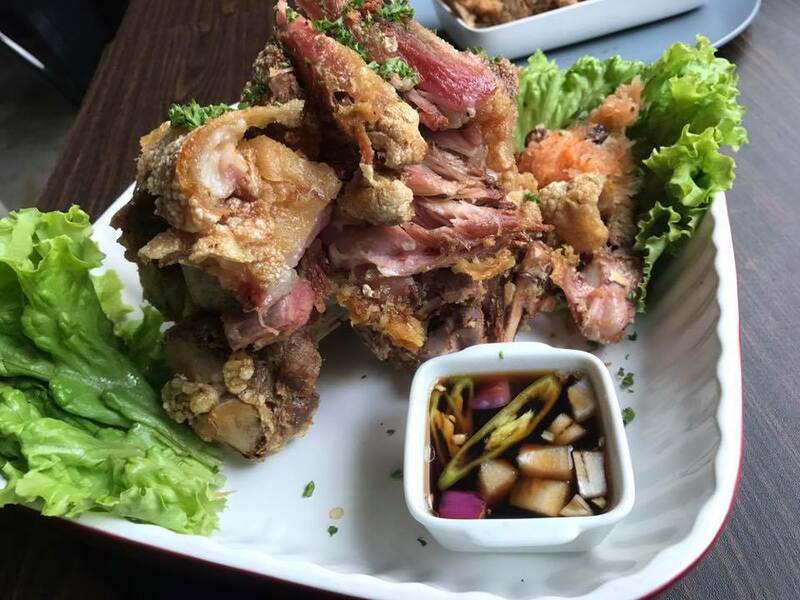 Corned Crispy Pata is South Pub Alabang's take on this favorite pork dish of mine. They cure the meat in brine for at least 3 days and the result is a cross between Chicharon and Corned Beef when deep fried. The pork skin are all crispy while its meat remains fork-tender under its crunchy skin. I love it for its crunchy goodness. I like this paired with their hefty serving of Sisig Rice. 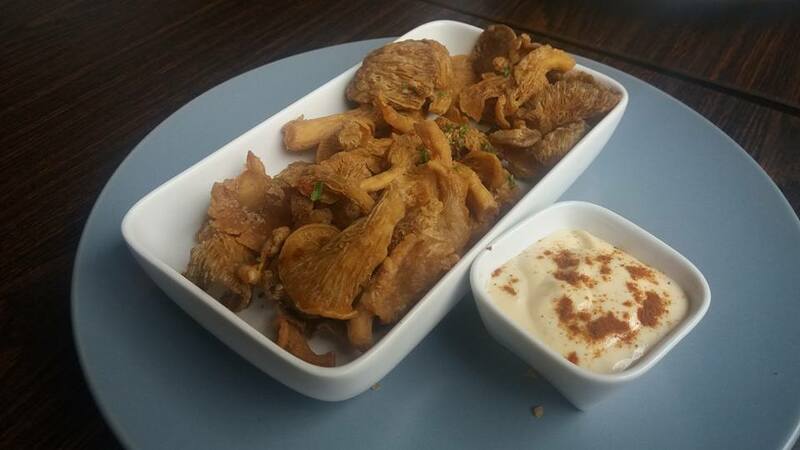 The Chipirones (P 220) is another Spanish dish that you should try. 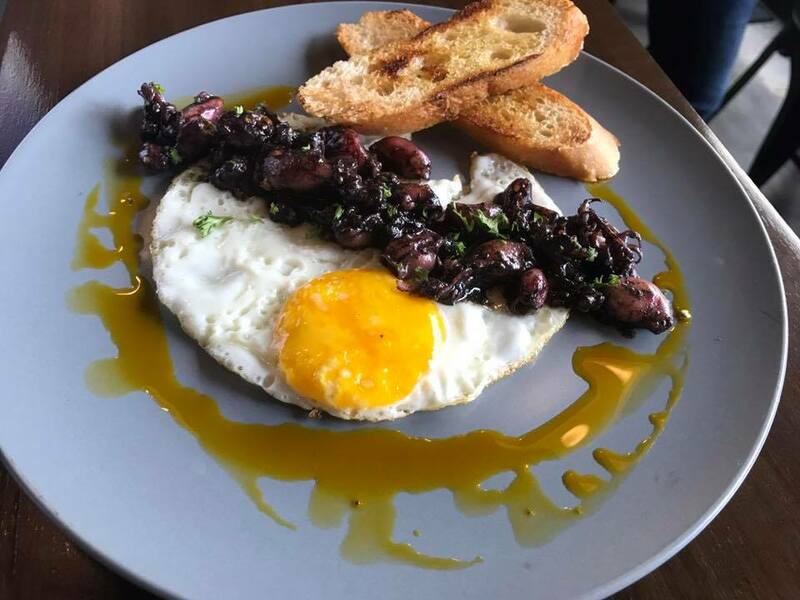 It is made of well-seasoned baby squid spread on top of a sunny side egg with two pieces of toasted bread. This is really a simple but comforting dish. South Pub Burger is one that you shouldn't miss out on. Their two-patty beef burger is heavy and loaded with cheese. It is served with french fries. 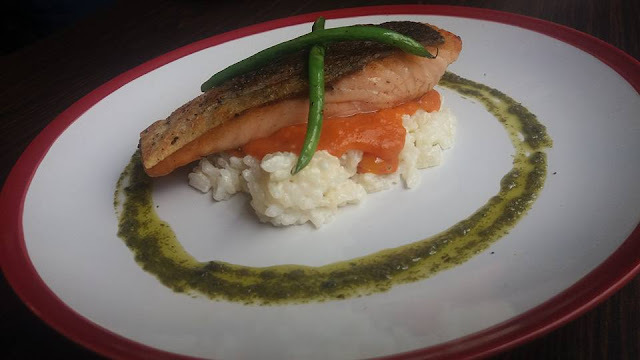 Picky eaters would love to sink in their teeth into the Salmon Dish, It is served straight up on a bed of sticky rice. 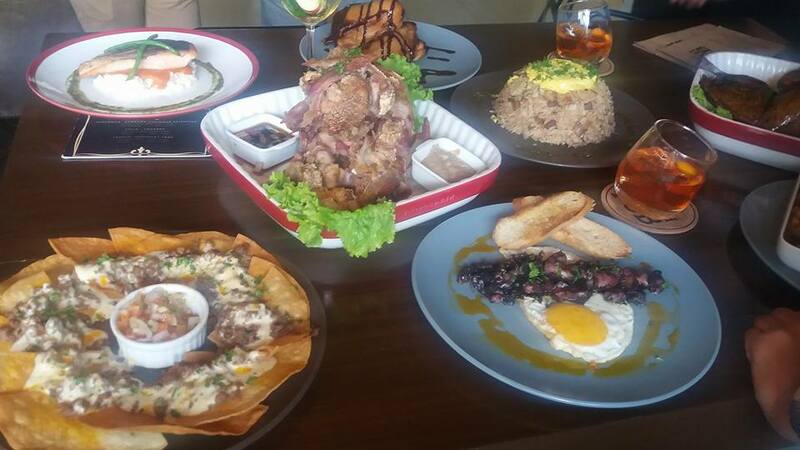 South Pub Alabang is designed to impress. They have soft, cushioned chairs for intimate dining. They mix up some recreational beverages at the indoor bar to help you unwind from a long day at the office and enjoy the company with friends. So head on over and enjoy a cold glass of beer.